When it comes to delivering digital content, downtime isn’t the only concern. Today a poor user experience can be just as damaging as an outage. According to Limelight research, 78% of people will stop watching an online video after it buffers three times, and the majority of people will not wait more than 5 seconds for a website to load. Organizations looking to deliver great digital experiences for their customers often choose to deliver that content using Content Delivery Networks (CDNs). 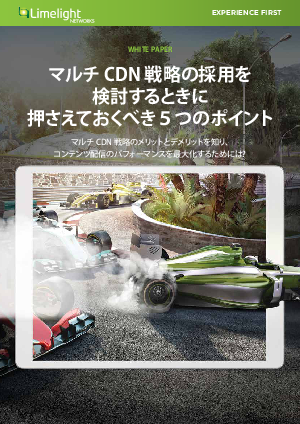 Using multiple CDNs to deliver these digital content experiences promises even greater levels of availability and performance. But it brings with it a host of questions. In this paper we’ll explore the 5 things you should know about multi-CDN in order to determine if it might make sense for your business.